An update for you on the election litigation related to HB1355 that is ongoing in the State of Florida. 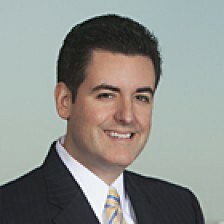 The Orlando Sentintel reports that the U.S. District Court for the District of Columbia (where the State filed its request for preclearance of sections of HB1355 under the Federal Voting Rights Act) views it unlikely that a decision will be reached before Florida’s August 14th primary election. As outlined on this blog in the past, right now there are two voting systems in Florida – one system for 62 counties (the news post-HB1355 system) and one for 5 counties (the pre-HB1355 system). The Election Law website at the Ohio State University’s Mortiz College of Law has done an excellent job cataloging the major docket filings in the League of Women Voters v. Browning and Florida v. U.S. cases. If you’re up for 585 pages of reading, two depositions in the LWV case are posted at their website.